Tulumba is a popular & mostly eaten turkish dessert. This taste crunchy ouside & soft and moist inside. Especially during family gatherings, this dessert plays a predominant role in the menu. This would be a interesting dessert for the sweet lovers and not for the diet concisious people. Mix sugar and water together & bring it to the boil. Once the syrup is ready, switch off the heat and add lemon juice to it. Keep aside. Combine the water, butter and salt in a heavy bottomed sauce pan and bring it to boil. Meanwhile, incorporate all the dry ingredients together & add them to the boiling water. Stir them continously for 5 mins. Switch off the heat & allow the mixture to cool. Knead the dough by adding eggs one by one & fill them into a pastry bag with a 1/2 inch diameter tip. Meanwhile, heat the oil in a heavy bottomed frying pan and pipe the dough in the hot oil and cut the edges using the scissors. Fry them till golden brown in either side. Drain off the excess oil using the paper towel and soak them in the sugar syrup. Remove them from the syrup and place over a serving dish. This is the third turkish sweet I have seen today in blogosphere, sounds similar to jalebi of course without eggs! THis is new to me. Looks very pretty. 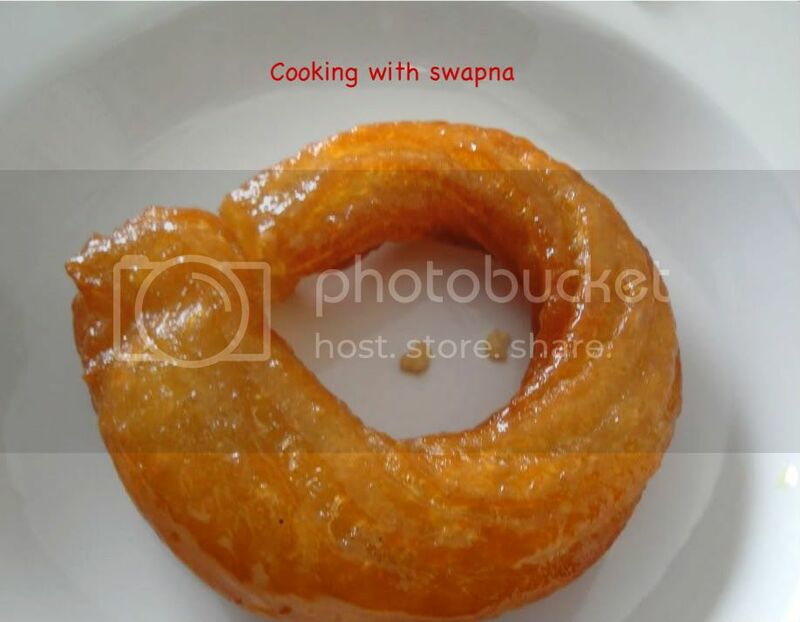 Hi Swapna, nice to see you back to blogging. Did not see you around for long!Hope you are fine. hey swapna first time here through FB. 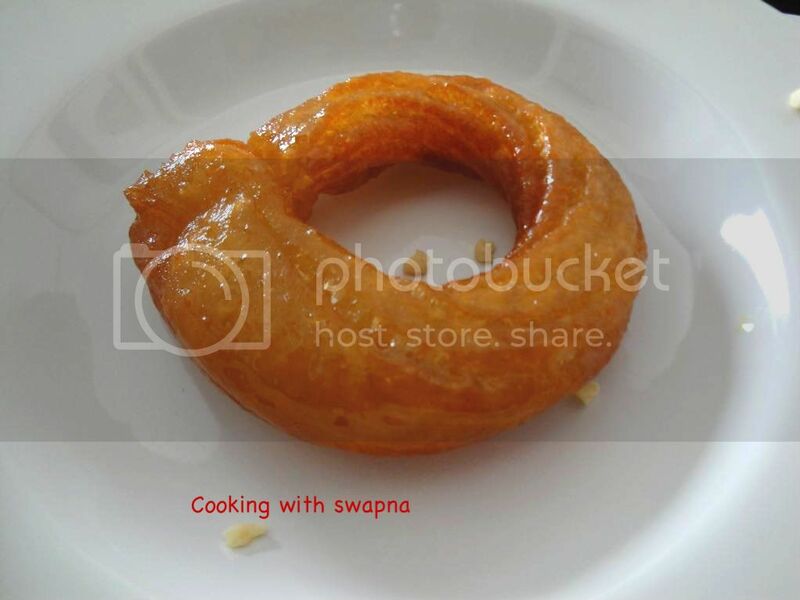 this looks like jalebi....but it's unique in it's own way. nice blog you have dear.